Life Happens is a nonprofit organization dedicated to helping consumers make smart insurance decisions to safeguard their loved ones. The folks at Life Happens weren’t interested in metrics, they needed a video that hit the emotions. Imagine for a moment that you’ve passed on. Would you want your loved ones to continue in misery? Or would you want them to continue on living life? The latter of course! The more we thought about this, the more we thought about all the important life lessons that parents pass on to their children to ensure their kids not only live on, but live well. And that’s when we started to imagine a story of a father reading to his daughter. But to really drive home the point, we knew that there had to be some sort of a twist…a positive one where the audience didn’t just walk away sad, but encouraged to do the same for their loved ones. 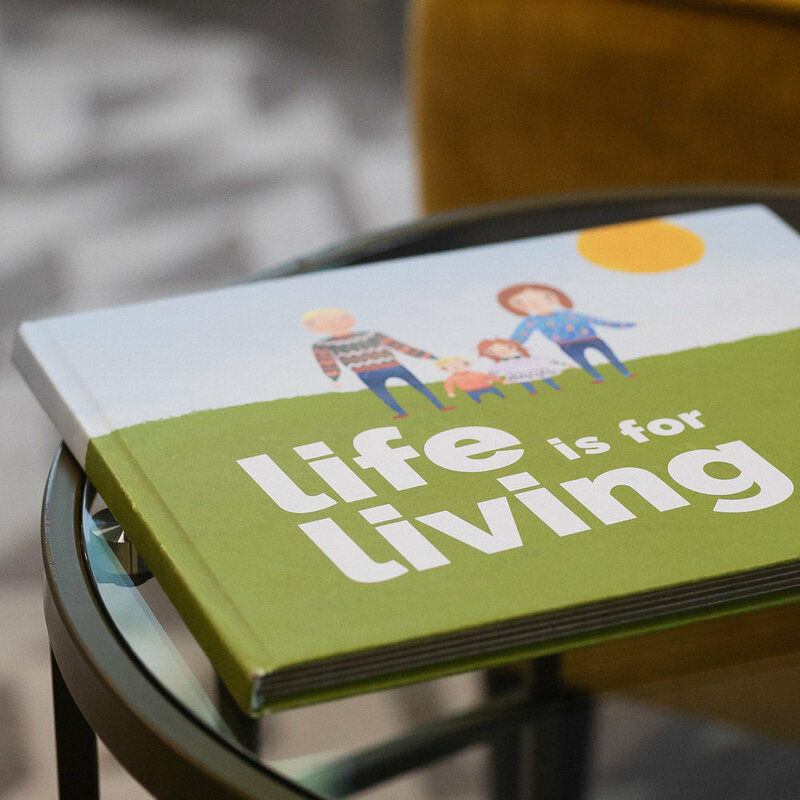 We also spent a lot of time writing and designing the “Life is for Living” children’s book. Not only did it provide our little actress with something to focus on, but it provided Life Happens with a resource that they could then offer to families with children who have lost a parent or guardian. We even created a 30 sec teaser that Life Happens is currently using as pre-roll. "Literally cried! That was great. Maybe too close to home - pictured my daughter."